Did Trever Florko offer to show you ‘For Sale By Owner’ listings? Would you use Trever Florko again? Our realtor relationship with Trevor started with a phone call. 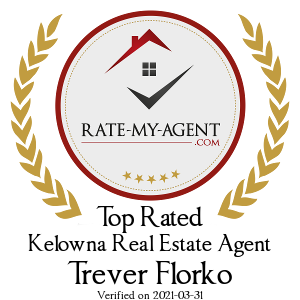 After a fifteen minute conversation where Trevor asked us about our needs and expectations we were blown away from the flood of information and listings that we were provided with. Even before meeting Trevor we know he was the realtor for us based on the expertise and experience that was shown in his candor over the phone. Once we met Trevor he was very easy to be around. Trevor is professional, knowledgeable and puts his clients at ease. Buying a home can be a stressful experience but Trevor made it easy and comfortable. Trevor is easy going, funny and enjoyable to be around. On top of a good personality he is extremely knowledgeable, professional and accountable. Anytime we needed anything from Trevor it felt like we had an answer within seconds either by email, call or text. Trevor made us feel like a top priority in his busy schedule every time we spoke with him. Once we found our dream home Trevor had our offer in ASAP. He was great through the negotiation process and a great wealth of knowledge in getting the conditions removed. When you hire Trevor you don’t just get Trevor you get a great list of recommended lawyers, home inspectors and insurance brokers. If and when we need a realtor there is no doubt that we will be hiring Trevor! - Colin S.
Trever definitely has your best interests at heart. He pays attention to what you are looking for. In my opinion Trever goes above and beyond his job as a realtor. Trever patiently walked me through every step from beginning to end. When it came to negotiation, Trever was very skilled and I had the utmost trust in him to get us the best possible deal. I would 100% use Trever again. - Glenn B.
Trever repeatedly goes above and beyond. He is clear and kind through the entire process. He patiently and thoughtfully went through each step, document and process with us. I would recommend Trever to anyone one looking for a realtor. - Andrea K.
Trevor did an amazing job at securing us this great property. He helped us get the best price and make sure our deal was accepted. I would highly recommend Trevor for all his great work and attention to detail. All around a great experience and nice and easy. - Rhett V.
Trevor, Did a great job at getting the Sale price correct and setting our expectations. He walked us through the important points and where we may have trouble, along with assuring us that he and his team would make it a smooth and painless process. 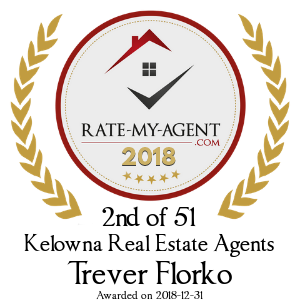 I would recommend Trevor Florko to all my friends for Buying and Selling real estate in Kelowna. - Blain J.
Trevor did a great job being patient with us on our journey of over 1.5 years looking for our little piece of Heaven!! Along the way he did a amazing job keeping us in the loop on all the transactions we attempted! Thanks Trevor!! - Reilly V.
We can't thank Trever Florko enough for the help and support he provided to us with our first Canadian purchase coming from the UK. He has been very patient with us when we have been making decisions and helping us understand the process, providing personal recommendations to help us along the way. I would happily enlist his services again and would thoroughly recommend him to anyone looking to move home - Alex and Madeline B.
Trever did a fantastic job of marketing the home. He was always quick to reply and to provide updates along the way. He made the process easy and stress free, and sold out house promptly. - Katie K.
"Trevor was a breath of fresh air. We have dealt with a few realtors in the past, that when all was said and done, they really made us feel as though they were not working for us. Trevor proved to understand our needs, try to find solutions to deal with our crazy animals for showings and just generally cared and was always a text away. He also lived up to the enthusiasm and passion for his career that he portrays and shares on social media. Very happy I came across Trevor and he reached out several times over the years. We really appreciated Trevor's approach and willingness to work and not just make a deal. He is a class act. " - Cheryl T.
Trever Florko was very knowlagable regarding all aspects of the home buying process. He has a great attitude and you can tell he really loves what he does. His professionolism really shines through by responding to messages/emails right away, and making himself available when we came to Kelowna to look at houses. He made the home buying process from Ontario a lot less stressful, and made us feel comfortable with the entire process. He really knows his stuff, loves Kelowna, and goes beyond to help. I highly recommend Trever! - Jennifer T.
I highly recommend Trever Florko. 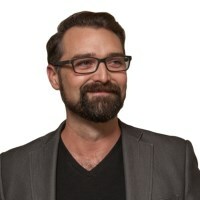 Trever is an absolute expert in his field; his marketing and professional network is exemplary; he is efficient, thorough, meticulous, committed, and contentious in all that he does; and [nearly above all] he is refreshingly genuine and professional. Working with Trever is an absolute pleasure. - Toni J.
Trever Florko has been exceptional with giving us the best service possible with the purchase and sale of our home. His commitment to a job well done is apparent with his selfless timeliness, organization, and superb marketing. He has made the process of buying and selling so easy and painless to us first-time homeowners. I would absolutely recommend Trever to anyone looking to buy or sell. We appreciate how quickly Trever helped make our dreams come true! - Manda B. and Brett S.
Trever Florko made the entire experience of listing and selling our home an easy and stress free thing. His professionalism combines a great sense of humour with an honest, down to earth approach which gave us enormous confidence that we were in the right hands. And we were - our home sold for more than our list price! Can not say enough great things about Trever. Highly recommended realtor! - Michelle D.
Very knowledgable , easy to work with. Would highly recommend to family/friends. Thank you Trever for making the sale of our condo go so smoothly. - Gord C.
Trever Florko was great to work with! He’s funny, professional and extremely knowledgeable. We selected him because of his extensive knowledge of the Kelowna area and years of real estate experience and excellence. He was patient and made sure we were comfortable throughout the process! Thanks Trever for helping us get our dream Kelowna home! - Jessica H.
Trevor Florko is the ultimate professional; he is, at the same time, extremely approachable and yet highly skilled at what he does. He was easily reached by both email and by phone and his responses were usually immediate and yet always well-rearched. As we are first time home buyers, we needed a lot of "hand-holding" and he never made us feel like we were asking too many questions or taking up too much of his time. His sense of humour, especially when we fell into worry about finding the right house, was most appreciated. - Randall T.
Our daughter introduced us to Trevor. I had an instant good feeling about him. I felt that he was someone we could trust and was very knowledgeable. We will definitely use his services in the future and will be recommending him to all our family and friends. - Delfina A.